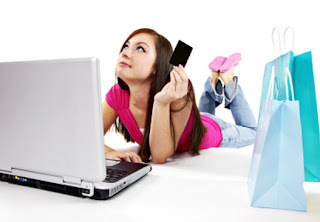 Online business store becomes an attractive business opportunity in today's digital era. The online store seems to be one of the new business area for us because the capital cost is relatively not too big and you don't need to rent physical store with all the operational and maintenance costs. For people who are new to online store business, it couldn't hurt to read these tips & tricks from our online shopping experts. Many Online Store deliberately designed only to deceive consumers and stole their money. Seeing the condition of such online businesses, make sure your main intention is to capture the advantages of doing business and providing customer with satisfaction. Don't create an online store with the purpose of deception, because it will have a negative effect and you will have difficulties even more. Display attractive website with easy navigation system is also considered to be one of the prospective buyer to continue the purchase process and allows consumers to find items he was looking for. You must promote your Online Store and goods using social media like Facebook, Pinterest and Twitter. In addition, you can also put some ads / commercials in website or search engine. The desire to earn high profits are the main goal in business. However, do not tempted to grab high profits quickly by selling at high prices. Because by giving your customer lower price at the beginning you can attract customers to became loyal subscriber. And when you already have a lot of customers, the next time you want to raise the price, they already know the quality of your goods. Having many suppliers will make you have more choices for goods that your online store can sell. Because if we have only one supplier, then the buyer can't get too much option in terms of price and quality. Provide a contact number that can be reached by the customer. It aims to provide comfort and increase customer confidence when going shopping. They can ask for more information about the items to be bought easily. Call centers will be able to serve the subscriber questions, such as when the goods will arrive, the color of the goods, even if the actual information can be found on the website. Do light exercise (push up, leg raise, etc) If by chance your boss was not in place, you could take a short time to do push ups, dips or even doing exercises using your seat. Don't do it too long though (10-15 reps is enough), after that your body will feel refreshed.